Canada has been famously behind when it comes to online shopping, but it’s looking more and more like those days are over. Loblaws is testing a system to let you pay for groceries from home and then pick them up; Amazon.ca now sells groceries; free shipping is increasingly becoming the norm. But there’s one retailer that isn’t in the game, and doesn’t look like it will be anytime soon: Target. There is a website, of course, but the retailer doesn’t sell anything on it, and it has no timeline for when it may start. Simply put, Target Canada has other problems to take care of first. 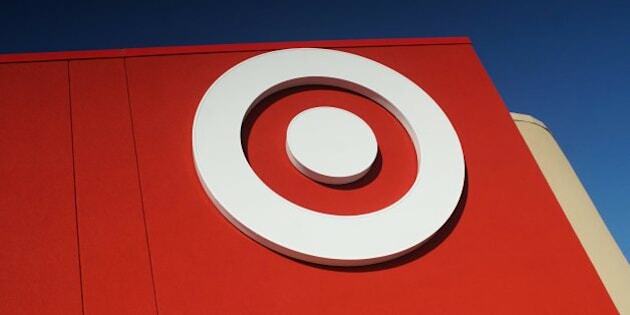 “We know e-commerce needs to be part of our longer term strategy in Canada, but first we have to get the basics right,” Target spokesperson Eric Hausman told HuffPost Canada in an email. So it certainly sounds like Target won’t be selling online this holiday season, even as Black Friday and Cyber Monday take an unprecedented hold in Canada. For many analysts, Target’s lack of a Canadian online store is further evidence that the retailer rushed too quickly into the Canadian market, and thus arrived unprepared. Target wouldn’t address that directly, saying only it “continues to assess [its] progress” as it opens stores across the country. For the time being, the chain is opening more stores; with the addition of three locations last month, the retailer has 133 locations in Canada. Though Target had predicted it would turn a profit in its first year in Canada, it ended up losing about $1.5 billion in the first 15 months or so of operations. The company has famously struggled with supply problems in Canada that led to empty shelves in stores. David Soberman, a marketing professor at the University of Toronto, says under those circumstances, a retailer may not want to sell online. “The worst possible thing you can do is have a website when you have supply chain and inventory issues,” he told the Minneapolis Star-Tribune. Even in the U.S. Target’s online sales are a relatively small part of the overall picture, accounting for some 2 to 3 per cent of all sales. The company did make a move just this week that suggests it’s taking e-commerce seriously: It bought Pittsburgh-based Powered Analytics, a company that promises “an Amazon-like shopping experience” for in-store shoppers. The company’s technology links patrons’ mobile phones or tablets to a store’s physical location, giving shoppers customized recommendations as they browse.